Copyright © 1996 by Hasbro and TakaraTomy. If you grew up in the Eighties or Nineties, then you know about the huge franchise known as Transformers: robots in disguise as vehicles and other forms, battling one another in the epic struggle of Good vs. Evil, usually with the fate of mankind–if not the whole universe–in the balance. Names like Autobots and Decepticons, Optimus Prime and Megatron, have become deeply entrenched in our pop culture. And even though a lot of it was merchandise-driven (name me one kid-oriented franchise that wasn‘t), the storyline was still really, really epic. Since I grew up in the Nineties, I didn’t get a lot of exposure to the original version of Transformers. But what I did get was Transformers: Beast Wars, an animated TV series based on a toy line of the same name that ran from 1996 to 1999. The Story: Autobots Vs. Decepticons! Maximals Vs. Predacons! In this universe, the Maximals are descended from the original Autobots while the Predacons are descended from the original Decepticons. Optimus Primal and his crew pursue a vessel under the command of Megatron, who is searching for supplies of Energon to help him take over the planet Cybertron. However, their ships crash-land on a distant and primitive planet that is rich with Energon, but to adapt, the robots take on new forms–“beast modes”–and begin a series of battles for control of the Energon. Eventually they discover that this primitive world is in fact Earth–long before the 1980s, when human beings helped the Autobots defeat the Decepticons. So the battle becomes a fight to determine the survival and success of the human race itself, and to keep Megatron from twisting the future toward his own ends. Meanwhile, stasis pods continue to drop from Earth’s orbit, allowing for new characters to emerge, with the Maximals and Predacons fighting to make first claim on their allegiance. And thus this is a story of not just Good vs. 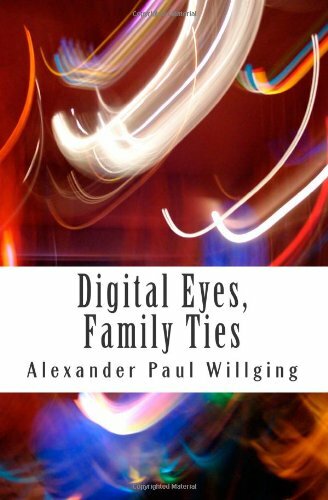 Evil, but of free will and quests to define one’s identity. The Maximals, Standing Proud. Copyright © 1996 by Hasbro and TakaraTomy. 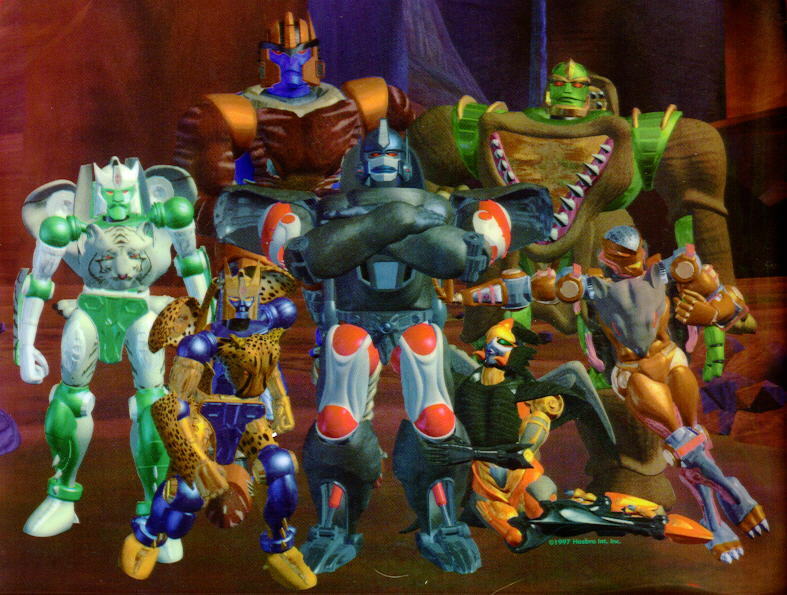 The core Maximals consist of Optimus Primal, Rhinox, Rattrap, Cheetor, Tigertron, and Airazor; the core Predacons consist of Megatron, Dinobot, Scorponok, Tarantulas, Waspinator, and Terrorsaur. Other characters emerge later, swelling the ranks of both sides and providing for all sorts of new storylines and character development. Some of the more interesting characters are those who switch allegiances between the Maximals and Predacons, such as the honor-driven Dinobot, the much-too-heroic Silverbolt, and the self-determined Blackarachnia. It all works out, giving more depth to what would ordinarily be a two-dimensional conflict of Good Robots vs. Bad Robots. During its run, the show produced some very good story and character arcs, and for every CGI-animated epic laser gunfight between the two sides, there was also a scene or set of dialogue that would highlight some conflict or change of heart in one or more of the main characters (like Dinobot’s Shakespearean soliloquies or the budding romance between Silverbolt and Blackarachnia). “The Trigger, Parts 1 & 2“: The Maximals and Predacons fight over a floating island that contains a powerful alien artifact; this episode gives a lot of well-used screen time to Blackarachnia and Tigertron in particular. “Bad Spark“: A stasis pod crashes, containing a sinister spark known as Protoform X, which the Maximals must contain before the Predacons can claim it; also the first appearance of an interesting new villain, Rampage. “Code of Hero“: After grappling with the question of his destiny and whether the future is predetermined, Dinobot takes on all the Predacons in order to save the prehistoric human race from being wiped out; he gives it his all in this battle and goes out with some spectacular final words in an homage to Shakespeare’s Hamlet. “Coming of the Fuzors, Parts 1 &2“: The Predacons acquire two new members while the Maximals deal with the recent loss of Optimus Primal; what follows is an epic showdown that’s reminiscent of Western gunfights like The Good, The Bad, And The Ugly; also the first appearance of “Fuzor” characters Quickstrike and Silverbolt. “Transmutate“: A stasis pod crash-lands in a seismically unstable area, producing a badly mutated, mentally crippled, and extremely powerful Transformer, which becomes a danger to both sides; however, this story deserves great attention for the bond that Transmutate develops between enemies like Silverbolt and Rampage, though the ending is heartbreaking. The Beast Wars cartoon was a lot of fun, giving its audience a lot of great fight scenes and cool characters to root for, but not afraid to also raise one or two deep questions and give those same characters more depth than you’d expect for a kid’s show. And while I am aware of the sequel series known as Beast Machines, I have to say that I only watched a few episodes of it. Most fans agree that it wasn’t that good, having an interesting premise but a troubled execution. Its emphasis on things being “technorganic” was a lot like things being “Transmetal” or “Fuzor” in the last series, but with a less optimal approach. Even so, the Beast Wars was a great addition and evolution of the Transformers franchise and I hope that the current revival of the franchise will lead some to reconsider this shining achievement. Bibliography: Beast Wars (TV series). Executive produced by Christopher J. Brough, Stephane Reichel, and Steven DeNure. Produced by Jonathan Goodwill. Cartoon Network. September 16, 1996 – March 7, 1999. I’m ’81 man. I remember watching some old Transformers episode. I even had some of the toys. The dinobots come to mind.